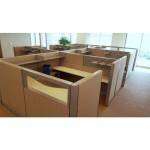 Glass screens (16″H on top of 30″H panels. 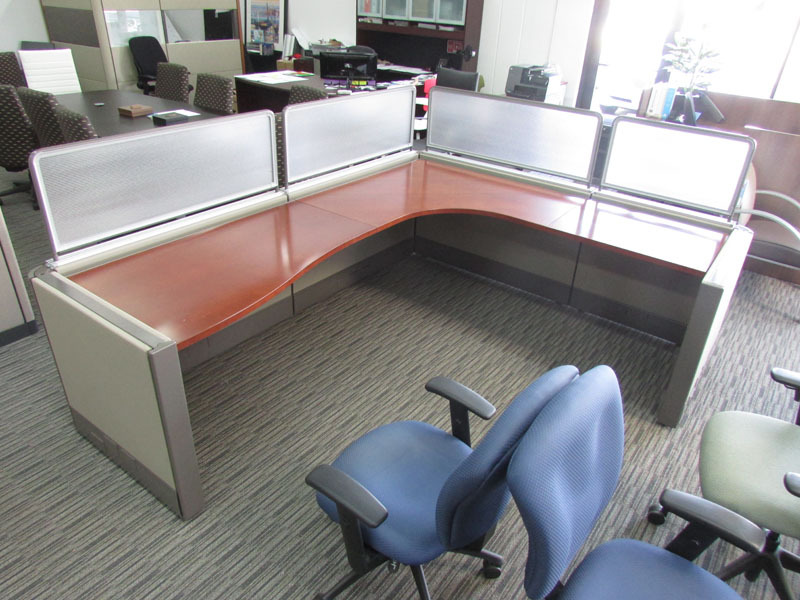 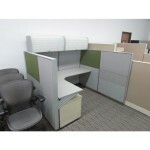 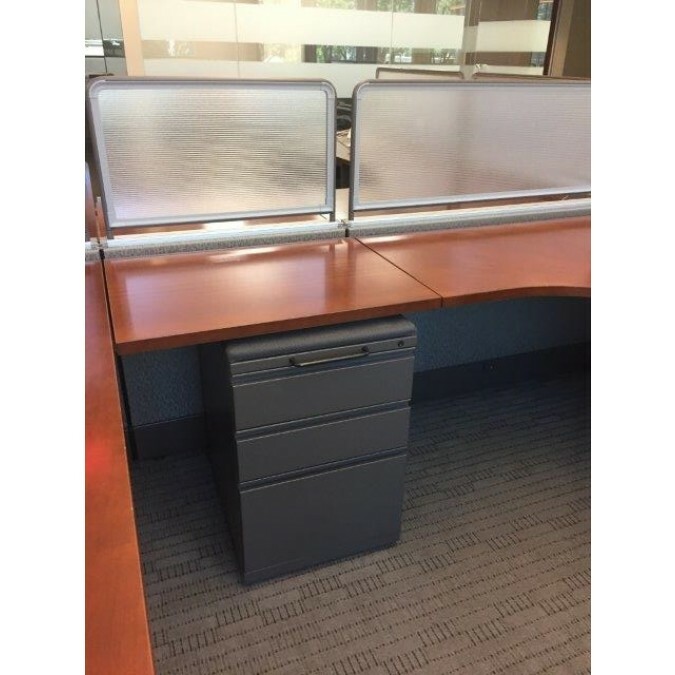 (8′ x 7’9″) Comes with (1) B/B/F mobile pedestal cabinet and (1) 36″ 2-drawer lateral file. 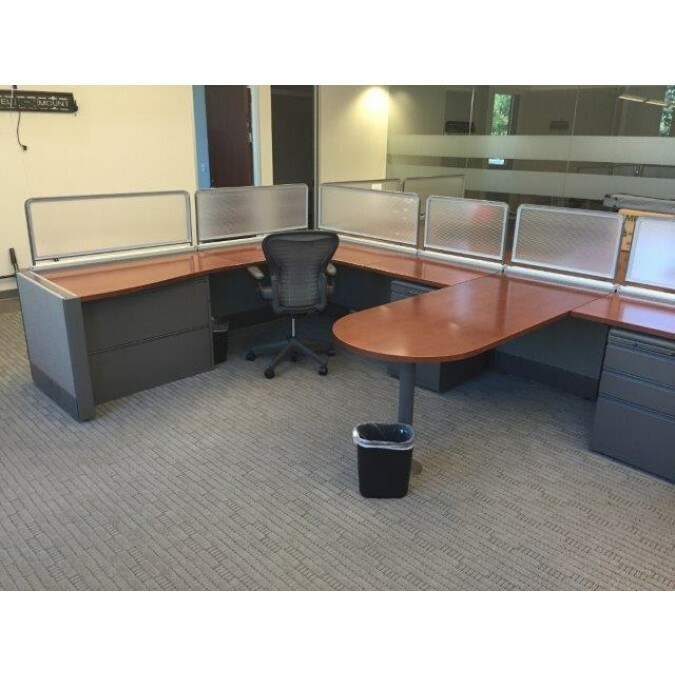 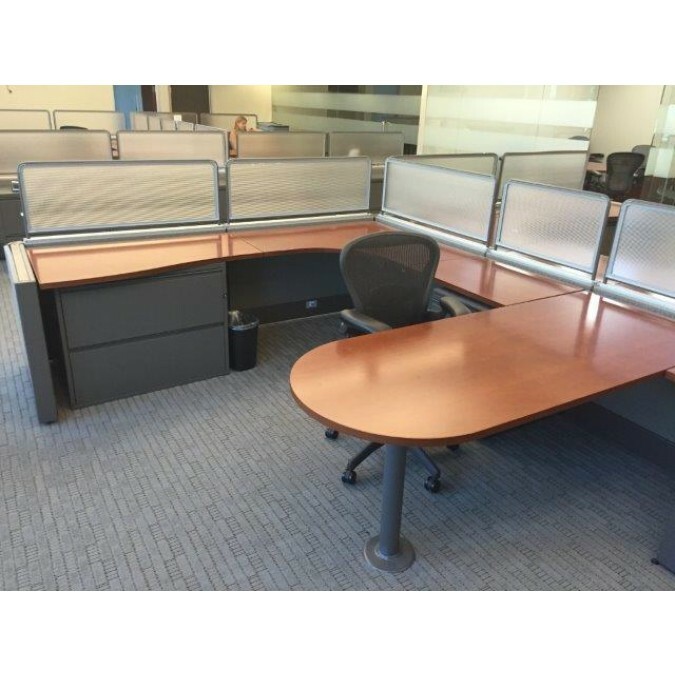 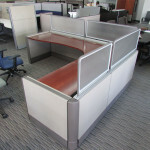 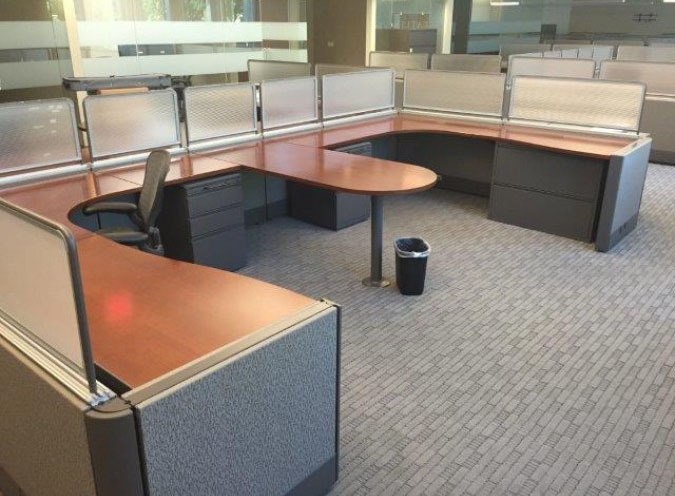 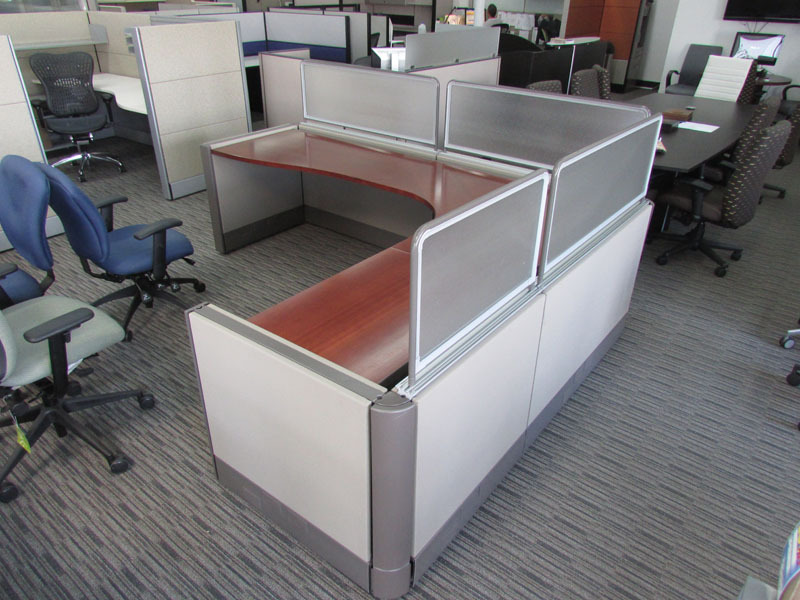 These are really gorgeous used cubicles with a high-end look with the Cherry veneer work-surfaces that really dress these up.